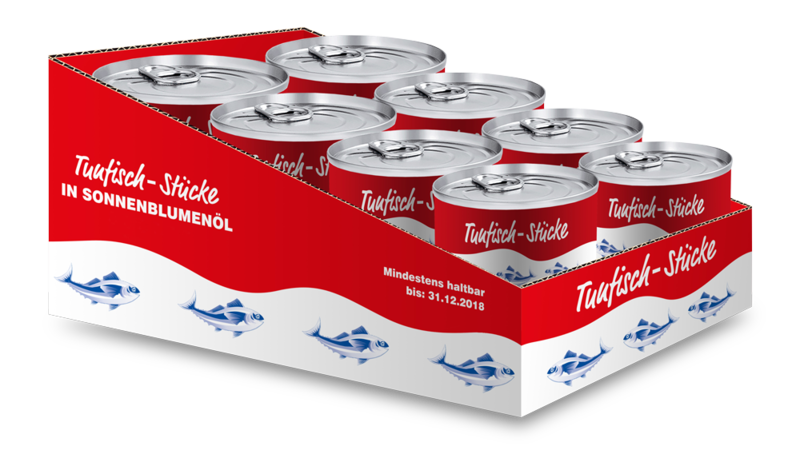 Since non printed master shrimp boxes, until elaborated exhibitors for tuna cans and/or other canned products, we offer a large variety of choices. Master boxes, designed to contain smaller boxes with frozen product, from 20 to 50 kg. It can be white or kraft. It could be non printed or have the producer/exporter design. These boxes reach a more selective market, usually big supermarkets in Europe. These boxes are wide used at European market, they get rid of the cover and let the tray exhibited on hanger.